The effects of traumatic brain injury (TBI) can vary from individual to individual. One result of TBI that can manifest itself in different ways is epilepsy. Epilepsy is a neurological disorder that can result from TBI due to swelling and bleeding in the brain. Epilepsy may occur immediately after the injury occurs or much later. The cause and timing will be specific to the individual’s injury and recovery. Seizures can be frightening for the individual as well as loved ones who are privy to these episodes. However, understanding brain injury, gaining knowledge and accessing medical support can aid in managing epilepsy as well as other effects of TBI. 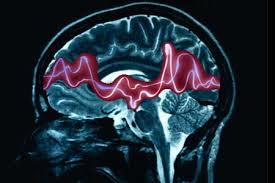 A seizure is defined as a “sudden surge of electrical activity in the brain,” which will alter the way a person feels and behaves. Seizures range in severity; some are mild to the point of barely being noticeable while others will require intervention and possibly medical attention. The steps taken to prevent injury during a seizure is dependent on the type. Recovery from TBI requires support. TryMunity offers various supports to individuals and families, as well as helpful tools for expediting the recovery process in relation to areas like memory. For some tips and strategies on improving cognitive ability and memory skills with games, visit our previous blog. Register with TryMunity’s online community now to meet others like you, share your story, learn and create a network of support.